Open access enables unlimited and worldwide sharing of knowledge and information. This includes providing free online access to publications. Publishing open access offers benefits: more exposure for your work, professionals can apply your findings, reuse of work and higher citation rates for your publications. TU Delft Open Access policy states that an author must deposit an open access version of the article in Delft Repository. If a publication on an publishers platform is not possible, the Author Accepted Manuscript (AAM) version is mandated. 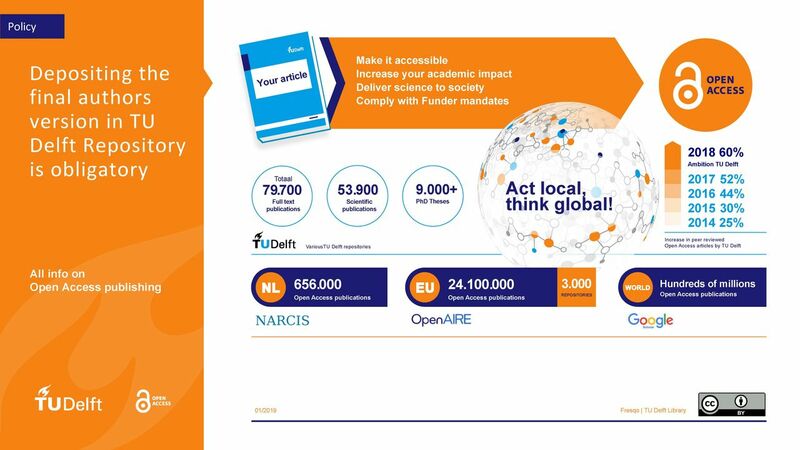 In cooperation with scientists, policy makers, publishers and funders, TU Delft Library is developing applications to make open access publishing possible. Examples include the TU Delft Repository and 4TU.ResearchData. Ever more important publishers exploit open access journals as part of their business model. Next to purely open access publishers as PLoS, Biomed, Frontiers and MDPI major publishers offer some kind of hybrid model or publish their journals as strictly open access. Open access material originating from TU Delft is also found in large numbers in ArXiv, the world’s largest e-print service in the fields of natural sciences. TU Delft is an official supporter of ArXIv 2018-2022. Information on the agreements are on openaccess.nl. Specific information on the journal level is captured in the UKB Journal Browser. Funders such as NWO, ERC and the European Union-Horizon 2020 require that the results of research they have funded should be visible as open access publications in the public domain. 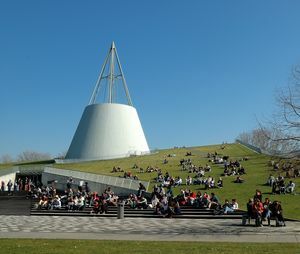 If financing your article in order to publish open access is not an option TU Delft Library can assist you by financing all or part of it from the Open Access Fund, that was founded in 2008. Read more about the Open Access Fund.